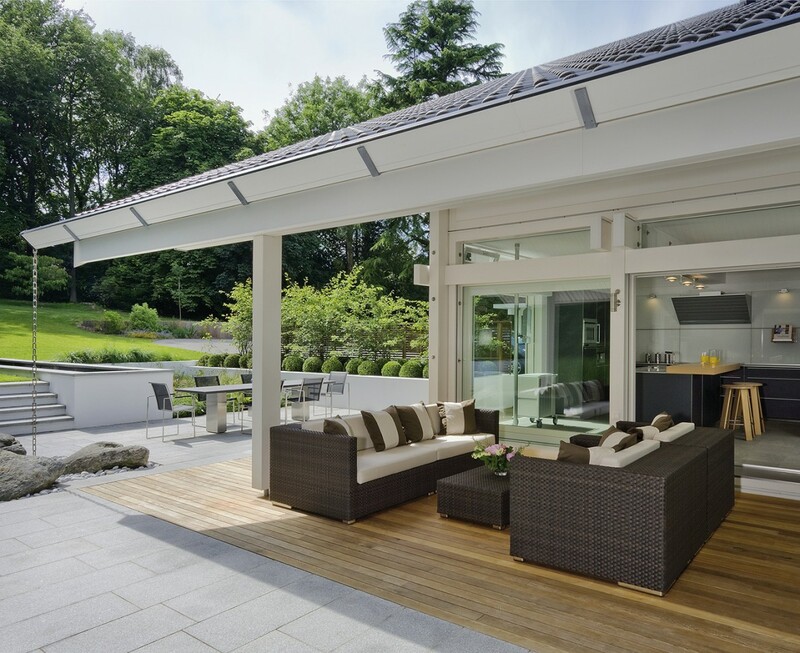 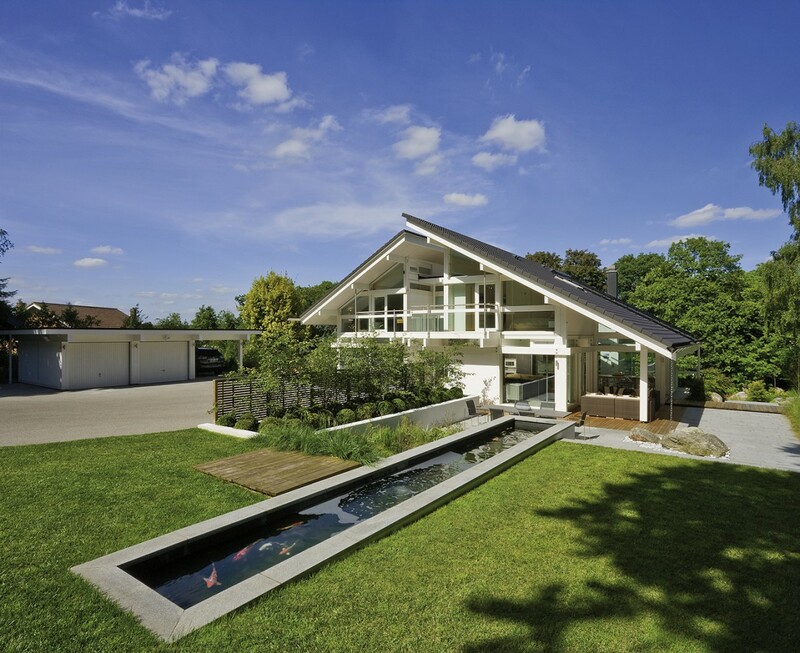 Huf Haus is a German company which has built over 100 striking contemporary timber and glass houses in the UK and we have been lucky enough to design the landscapes for 7 of these stunning homes. 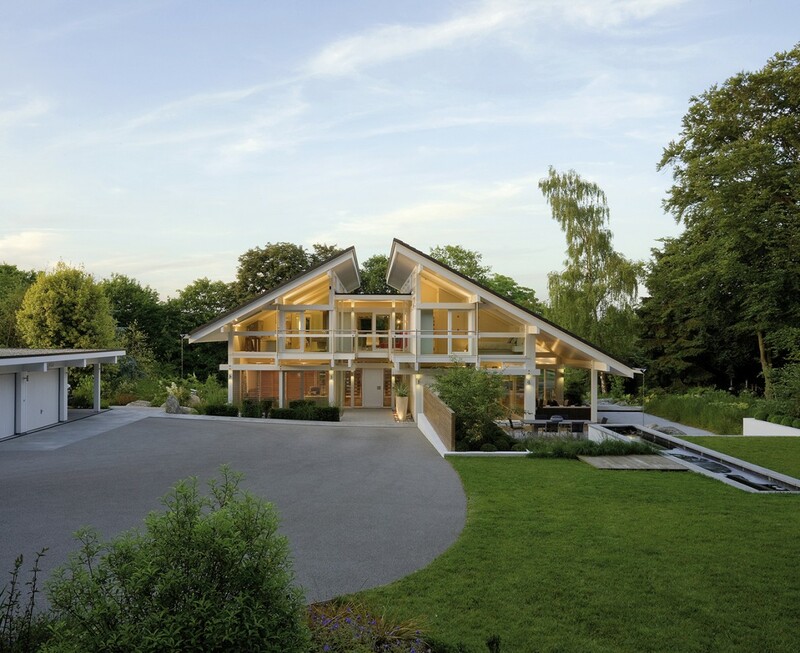 This particular house on the edge of a village is almost surrounded by pine and beech woodland. 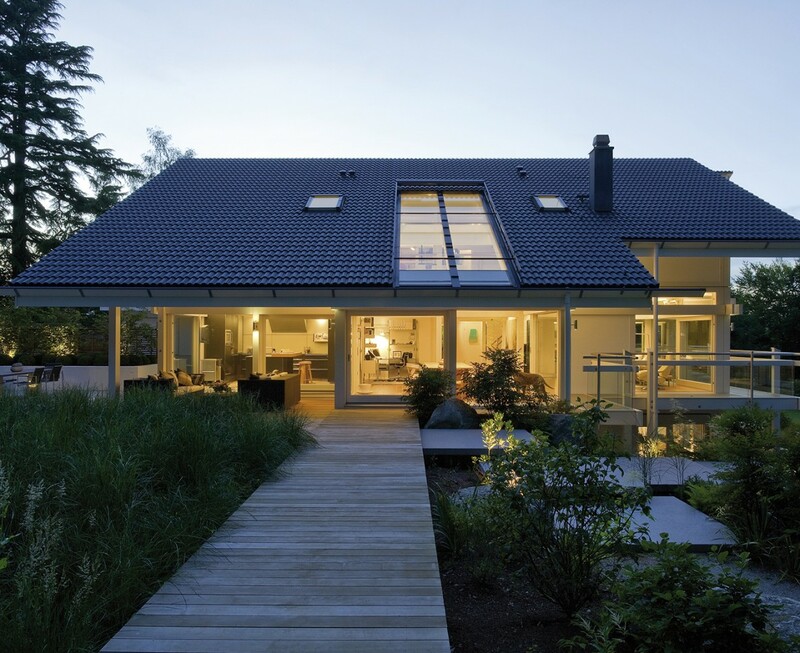 I adopted an approach to minimise the intervention of the house into the rural setting. 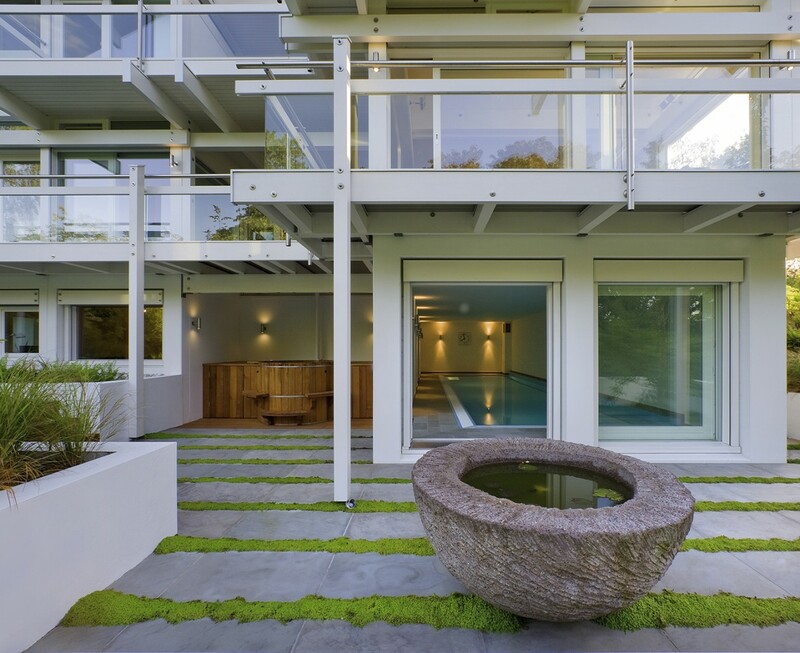 Much of the hard landscaping is restricted to areas immediately adjacent to the house and takes its cue from the uncompromising geometry of the architecture. 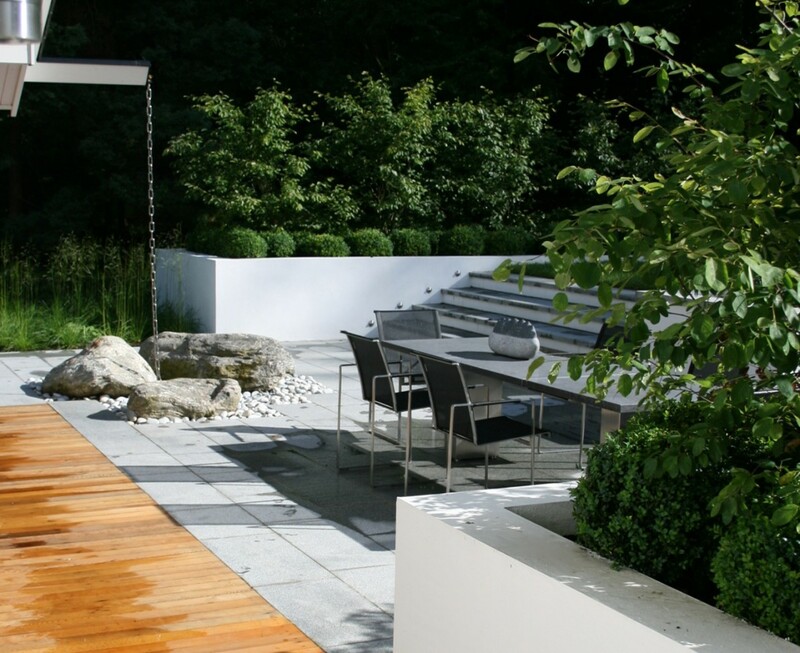 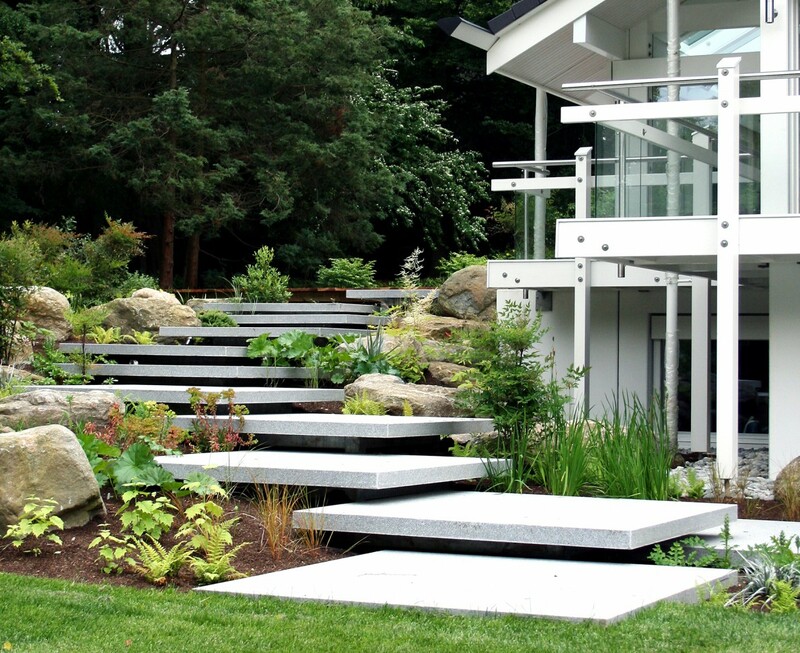 Slender fingers of landscaping including a formal pool and a boardwalk lead out into the lawns and trees enhancing vistas and encouraging a link with the natural landscape beyond. 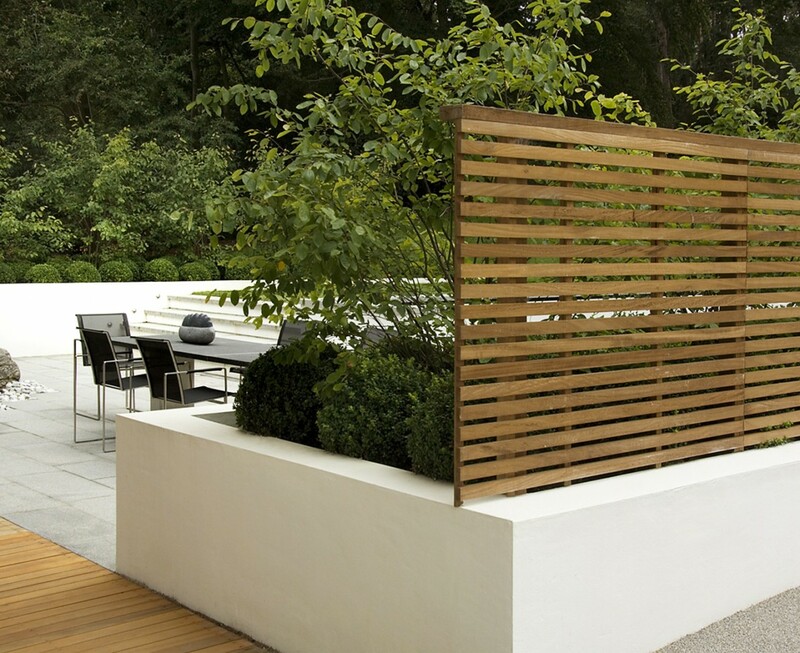 Predominantly native plants including box and Amelanchier were used around the house and they were pruned and trained to blur the boundary between nature and nurture.